Nearly 100 homes in Uttar Pradesh's Sarvantara village have been electrified, thanks to an initiative by a student from the UK's prestigious Imperial College. 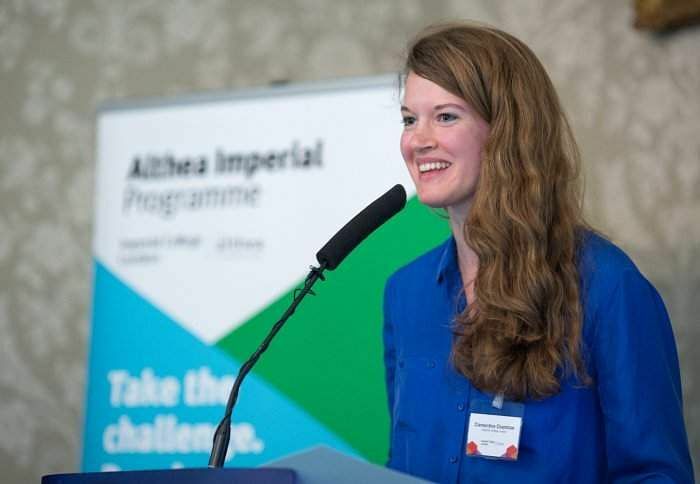 Clementine Chambon, a final year PhD student, has helped connect the homes with a mini eight-kWh solar energy grid via her social enterprise start-up company - Oorja - last month. The mini solar grid provides around 1,000 people with energy for affordable lighting, phone charging and fans to cool homes. Oorja was founded in 2015 by Chambon and a colleague, Indian social entrepreneur Amit Saraogi. "We are delighted to see the smiles on the faces of our happy customers, to hear their reports of how electricity is allowing their children to study longer and their hopes that a computer centre will be opened in the school so that students can learn how to use a computer," said Chambon. Like most hinterlands in India, the majority of the population in Sarvantara are farmers. Chambon reckons her project will help fuel the farmers' productivity. "The renewable energy generated will also power pumps to provide irrigation services to farmers, providing significant cost savings compared to diesel-powered pumps," said Chambon. Since less than average rainfall has been predicted, she said, the demand for electricity to pump water for irrigation has surged. "They are very relieved that an alternative to expensive diesel pumps will be available, especially as diesel prices in India are expected to get much more expensive, following recent deregulation of the market," she added. Chambon intends to expand her project and fit the 100 households with smart meters to enable remote monitoring of energy generation and consumption in real-time. "The data will help Oorja analyse the performance of the system and improve the services they provide," she said. The company provides affordable and reliable power to rural communities in India that are currently not connected to the country’s national energy grid network. According to Imperial College London, the next stage of their project will involve a pilot of a hybrid mini-grid that will generate electricity from solar energy and biomass. "This could provide a bigger supply of electricity to power small enterprises, such as grain mills, sewing cooperatives and water purification stations in the village," a statement by the college read. The Oorja team then plan to raise more funding to enable them to roll out dozens more of mini-grids to other villages by 2018.